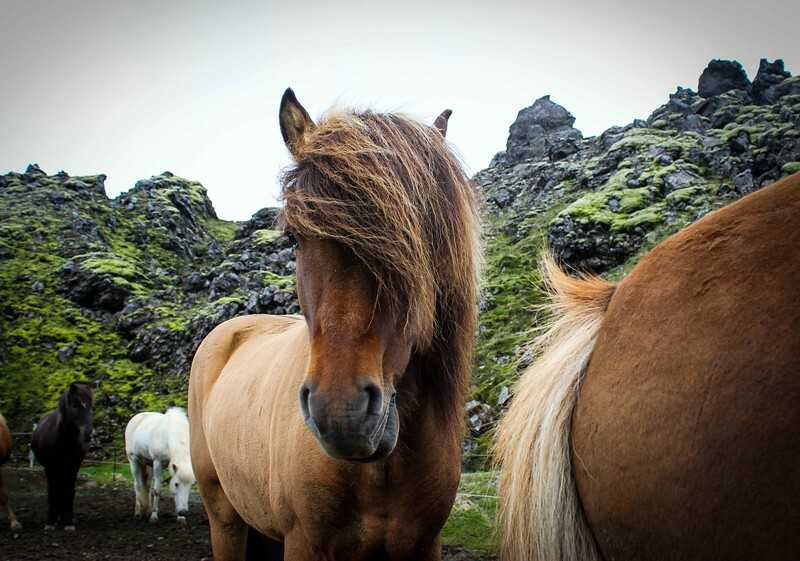 Delivered to Iceland by the Vikings, these hardy and mighty little horses have survived centuries of volcanic eruptions, famine and some of the coldest winters on earth. Through strictly controlled breeding practices, they remain a pure breed that is the only “allowed” horse within the country. 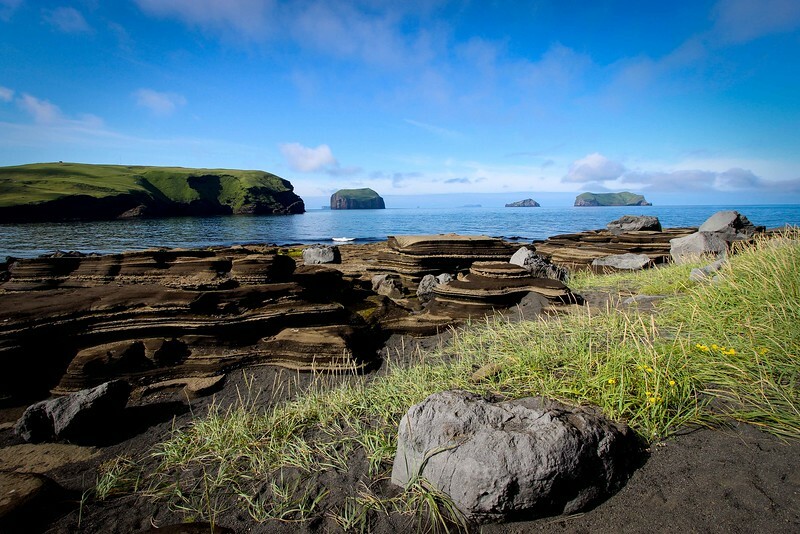 The layers of volcanic “growth” are clearly seen along the black beaches of Heimaey Island. Mother Earth is constantly giving life into new areas. In November of 1963, she gave birth with a colossal “bang” and puff of smoke to Surtsey – a modern day dragon that within a thousand days rose above the level of the sea. Now on the Unesco World Heritage List – it is prohibited to visit the island unless one is part of a scientific expedition. Surstey has been designated to serve as a petrie dish to how life starts fresh from the sea. The island can be seen in the distance from this shoreline – featured right of center in this image. Stop. Observe. Instead of rushing everywhere, slow down and look deep inside the neighborhood that encompasses you. Behold the season, colors, dirt, light, sun, sky, rocks, flowers and birds. From the almost undetectable shadows to the vast panoramic mountain vistas, nature has provided a wonderment of life that we need to appreciate, admire, understand and protect. As a photographer, I simply try to capture and share it through the lens of my camera. Photographs really do speak a thousand words. I hope that the collage of photographs you see in my collection help you to listen and appreciate your surroundings, while understanding the unique fragility and beauty that exists within them. Travel and General Photography services provided by Cheryl Goodwin - Photographer, Calgary, AB & the Columbia Valley of BC Copyright © 2018 Cheryl Goodwin - All rights reserved.